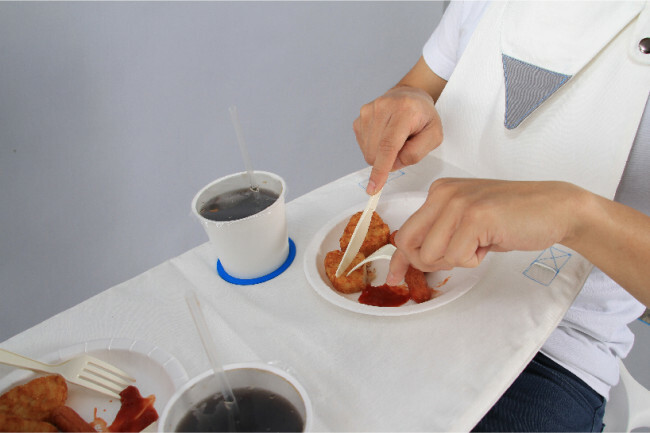 Napkin Table Is The Best Idea For A First Date Yet | OhGizmo! 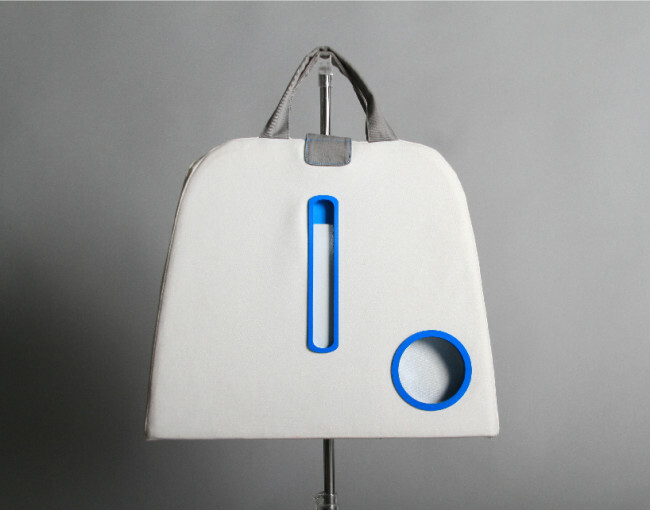 Is That A Klax In Your Pocket, Or Are You Just Happy To See Me? 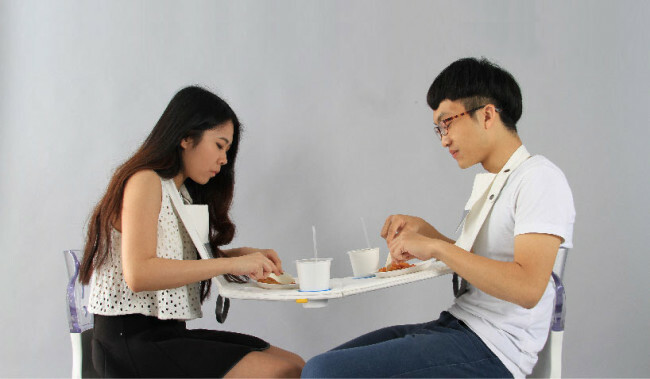 Created by industrial design students in Tunghai University of Taiwan, the Napkin Table lets two hungry people get their grub on even when they don’t have an actual table around. 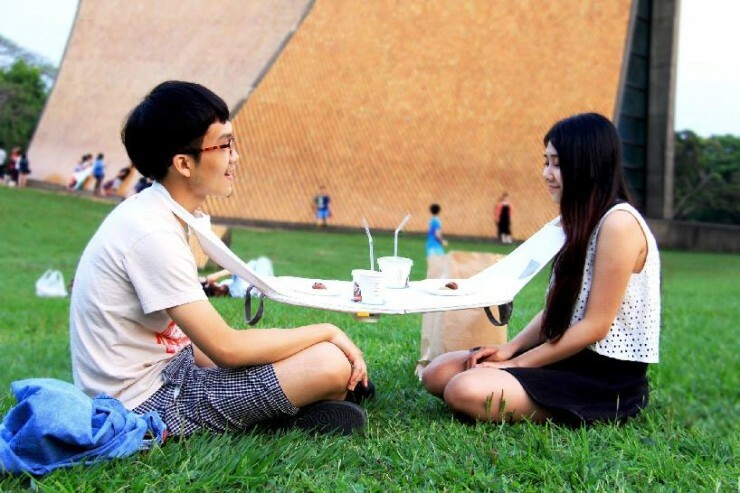 It wraps around each of their necks, tying them together and forcing them to balance their food between each other. It’s a bit weird, a bit awkward, and 100% the best way to make an awesome impression on a first date. It’ll force you to have a conversation, and you’re sure to have a couple of laughs… if neither of you is too stuck up, that is. 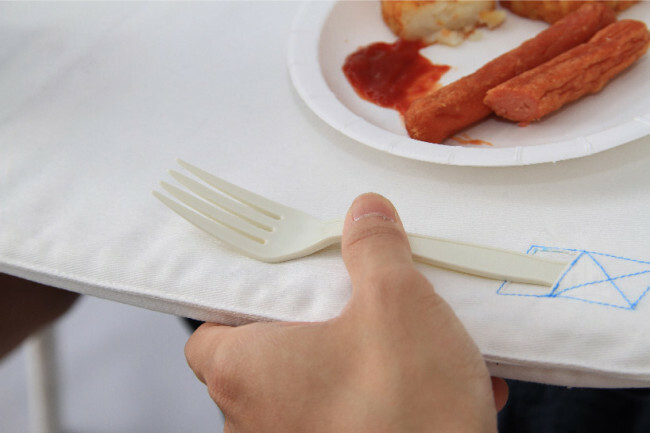 After you’re done eating, you can just fold it up and take it with you. Or at least, you could if this was an actual product you can buy. Sadly, it’s just a student project with no real plans at commercialization. 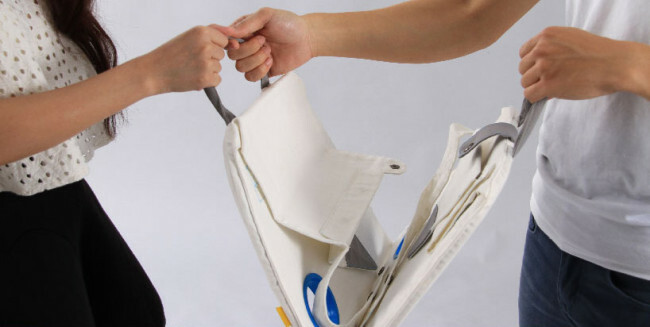 That said, once the idea is out in the wild, who knows when an enterprising Kickstarter will pop up?